Pecan trees are wonderful to have around. There is little more rewarding than harvesting nuts from your own yard. But there’s more to growing a pecan tree than just letting nature take its course. Cutting back pecan trees at just the right times and in just the right ways makes for a strong, healthy tree that should provide you with harvests for years to come. Keep reading to learn how and when to prune pecan trees. 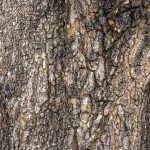 Do Pecan Trees Need Pruning? 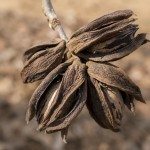 Do pecan trees need pruning? The short answer is: yes. Cutting back pecan trees in the first five years of their lives can be a huge benefit when they reach maturity. And pruning a pecan tree when it is grown can help prevent the spread of disease and promote better nut production. When you first transplant your pecan tree, prune back the top third of the branches. This may seem drastic at the time, but it’s good for promoting strong, thick branches and keeps the tree from getting spindly. During the first growing season, let the new shoots reach 4 to 6 inches, then choose one to be the leader. This should be a shoot that looks strong, goes straight up, and is more or less in line with the trunk. Cut back all the other shoots. You may have to do this multiple times in a season. Pruning a pecan tree should take place at the end of winter, just before the new buds form. This keeps the tree from putting too much energy into new growth that’s just going to be cut away. As the tree grows, cut away any branches that have a tighter angle than 45 degrees – they’ll grow too weak. Also, prune back any suckers or small shoots that appear in the crook of other branches or at the bottom of the trunk. Eventually, remove any branches five feet or lower. 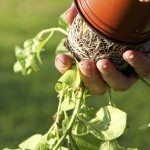 Some pruning is possible in the summer, especially if the branches are getting overcrowded. 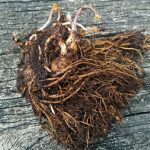 Never let two branches rub together, and always allow enough space for air and sunlight to get through – this cuts down on the spread of disease.